Who is sponsoring this conference? Can I forward the invitation link to other people? Can DoD personnel register now using FY19 money? For U.S. DoD personnel, do I need to submit a conference travel request to attend the event? Can I set-up a vendor display at the event? Question: Who is sponsoring this conference? 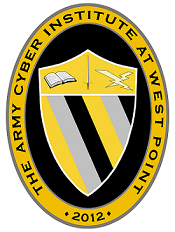 Answer: The Army Cyber Institute at West Point is sponsoring the conference in partnership with the NATO Cooperative Cyber Defence Centre of Excellence in Tallinn, Estonia. The conference is intended to complement the CyCon conference held annually in the Spring in Tallinn. Question: Can I forward the invitation link to other people? Answer: Yes! Please pass the word about this event to anyone you think may be interested in exchanging knowledge about the Cyber domain. Question: What is the attire for the event? Answer: For DoD attendees, the uniform is service class B equivalent. For all others, business casual. Question: Can DoD personnel register now using FY19 money? Yes. Due to the proximity of the Fiscal Year boundary to the event and limited availability of seats, it is permissible to pay registration fees using FY19 money. As always, check with your local SJA and G-8 to ensure local policies are followed. Question: For U.S. DoD personnel, do I need to submit a conference travel request to attend the event? No. The Army Cyber Institute already has conference approval for this event covering DoD attendees. Once your registration is approved, you will fall under that blanket approval. If you require a copy of the approval memo prior to registering, please contact SFC Natasha Orslene via the contact form to obtain a copy. We will require a trip report after the event to account for your expenses IAW the Army and DoD conference policy. Question: Can I set-up a vendor display at the event? Answer: Unfortunately, we do not allow sales activities by commercial vendors at CyCon U.S. We welcome professionals from cybersecurity companies who can contribute to the active discussions held at the conference but no sales pitches please.